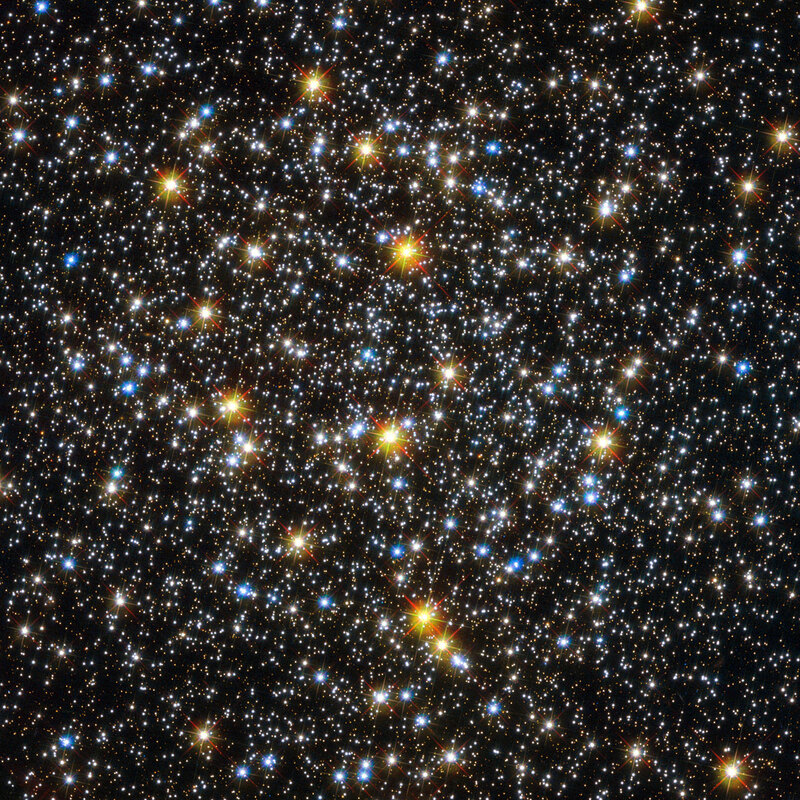 Globular clusters are among the oldest structures in the Universe that are accessible to direct observational investigation, making them living fossils from the early years of the cosmos. 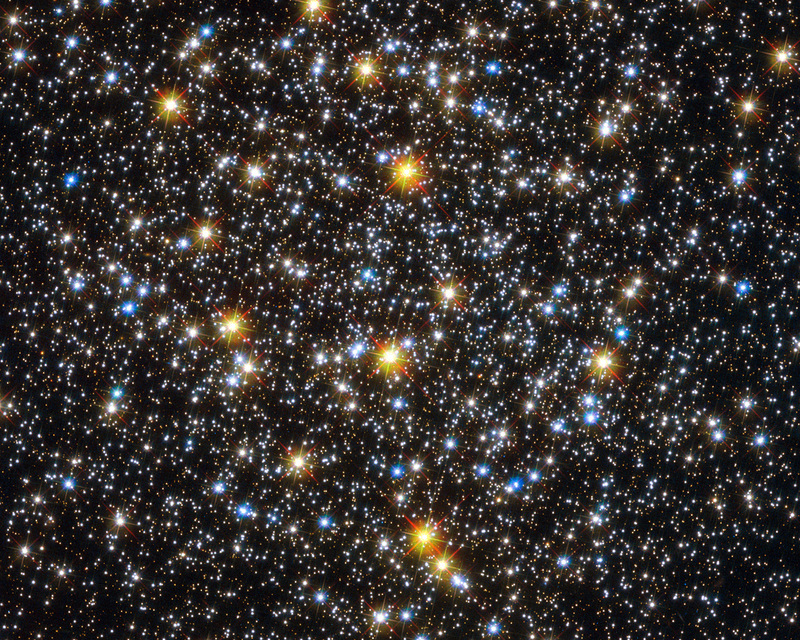 Astronomers infer important properties of globular clusters by looking at the light from their constituent stars. For many years, they were regarded as ideal laboratories for testing the standard stellar evolution theory. 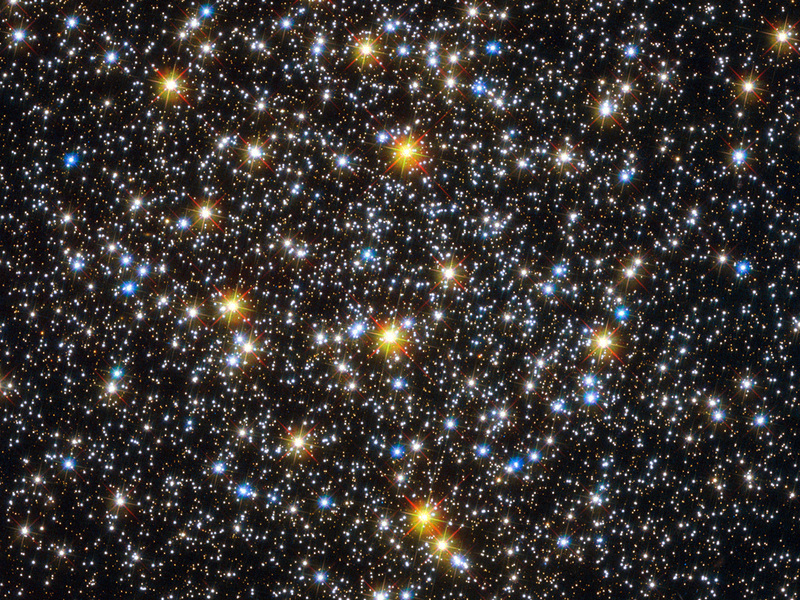 Among other things, this theory suggests that most of the stars within a globular cluster should be of a similar age. Since they are usually found in the core regions of clusters, where the concentration of stars is large, the most likely explanation for this unexpected population of objects seems to be that they could be either the result of stellar collisions or transfer of material between stars in binary systems. This influx of new material would heat up the star and make it appear younger than its neighbours. NGC 6362 is located about 25 000 light-years from Earth in the constellation of Ara (The Altar). 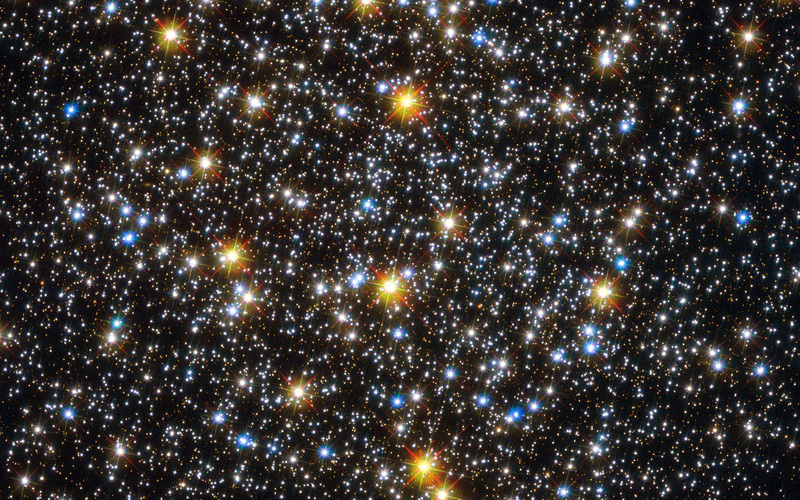 British astronomer James Dunlop first observed this globular cluster on 30 June 1826. This image was created combining ultraviolet, visual and infrared images taken with the Wide Field Channel of the Advanced Camera for Surveys and the Wide Field Camera 3. An image image of NGC 6362 taken by the MPG/ESO 2.2-metre telescope will be published by the European Southern Observatory on Wednesday. See it on www.eso.org from 12:00 on 31 October. Position (Dec): -67° 2' 52.11"